The latest movie release from Walt Disney Studios is set for Thanksgiving Week 2017. 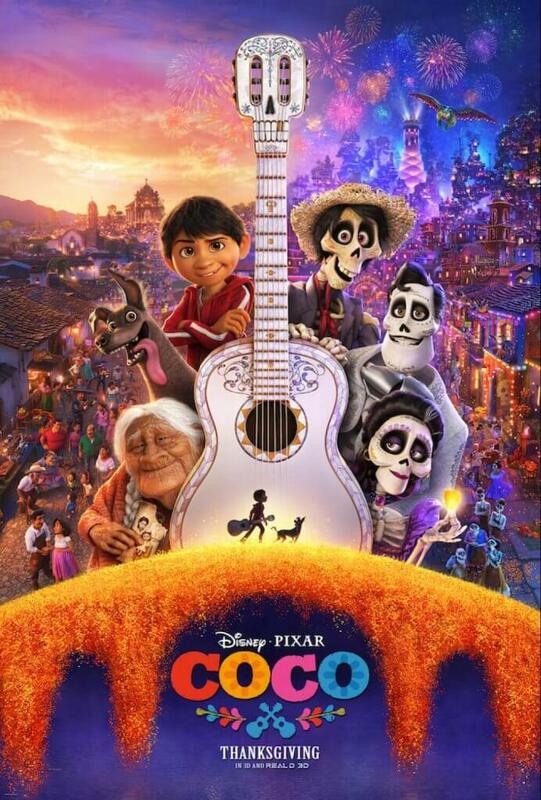 Will your family be seeing COCO the first weekend?! 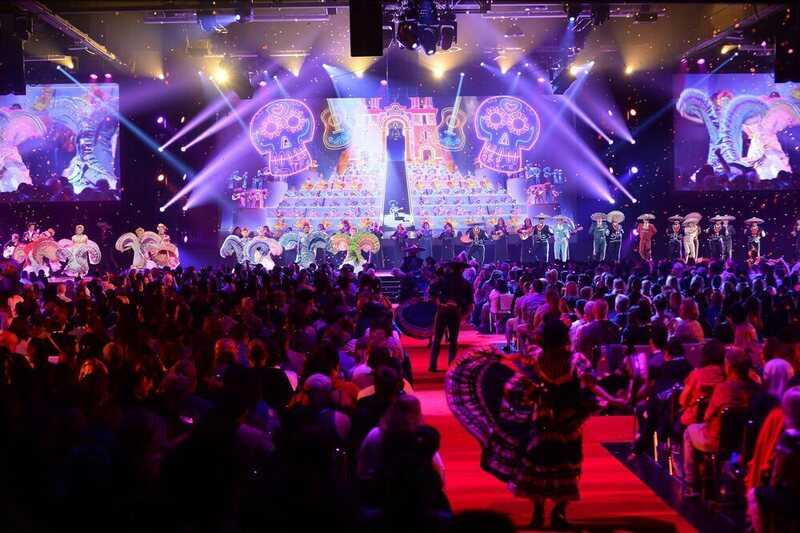 I’ll admit, when we first saw COCO announced at the 2015 D23 Expo, I had mixed emotions. After falling in love with Mexican culture in high school, I undoubtedly looked forward to a movie centered around Dia de los Muertos – Day of the Dead. And I immediately wondered how exactly Pixar would go about centering a movie around Dia de los Muertos without making it, well, weird for viewers previously unfamiliar with the celebration. A holiday represented by a beautiful skeleton and spirits of relatives past is not something that most of us have much experience with. I wasn’t exactly worried, just curious. And at the 2017 D23 Expo, I got a lot of answers. We were treated to some clips, behind-the-scenes stories, and a stunning performance from two of the film’s stars, Benjamin Bratt (Ernesto de la Cruz) and Anthony Gonzalez (Miguel). The story is charming, about a young music lover and the search to figure out his family’s mysterious history – and ban on music. 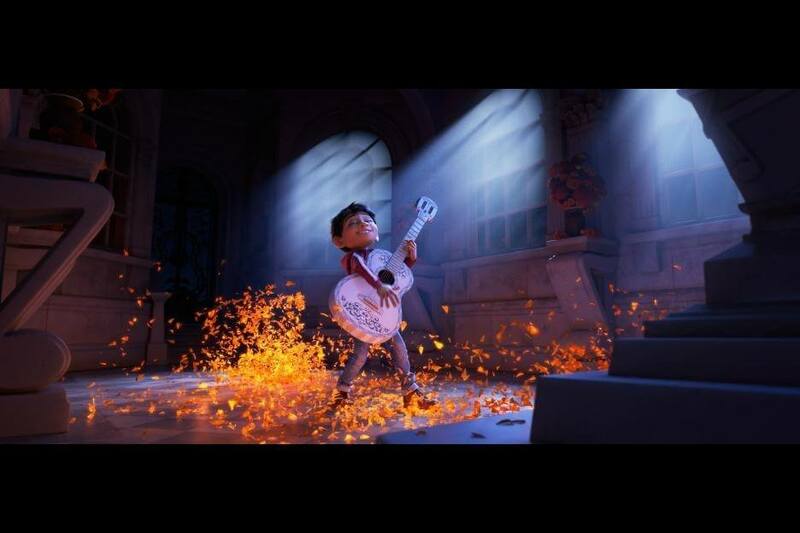 In the latest trailer, we see a bit more of Miguel’s personality, and how the geniuses at Pixar have managed to make a skeleton-centric movie ridiculously charming. 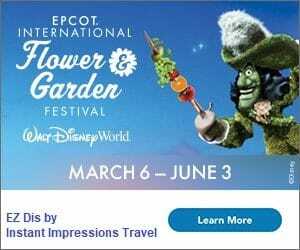 Don’t miss the super convenient method for taking selfies in the Land of the Dead, or the use of a favorite 90s throwback song! The new poster shares in the fun, too. I’m already imagining parties and themed movie nights using all these incredible colors, but first… I know what my family is watching Thanksgiving week! COCO opens in theaters everywhere November 22, 2017. Follow along for the latest releases!